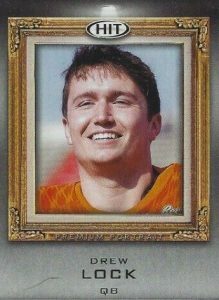 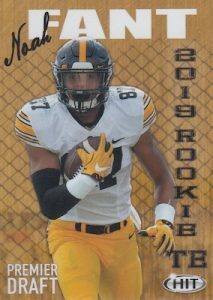 2019 Sage Hit Premier Draft Low Series - Football Card Checklist	Overall rating:	3	out of 5 based on 1	reviews. 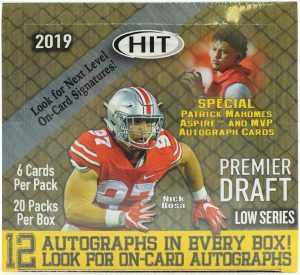 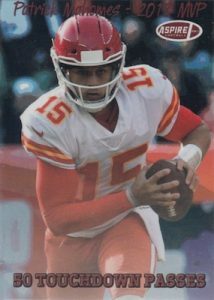 2019 Sage Hit Premier Draft Low Series Football is an unlicensed set that focuses on upcoming NFL Draft prospects. 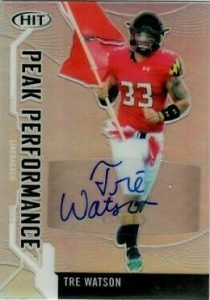 This is a good opportunity to find some autographs of young players who are expected to make the NFL. 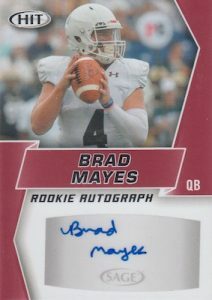 Fans will find 12 autographs in every hobby box, or 3 autos in each Blaster. 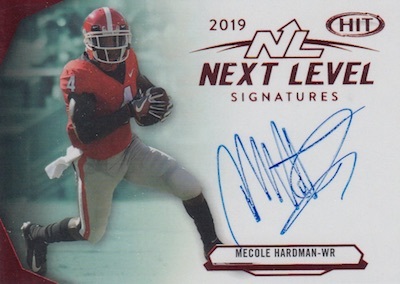 The set does not offer any redemptions which means that it has a leg up over other draft products. 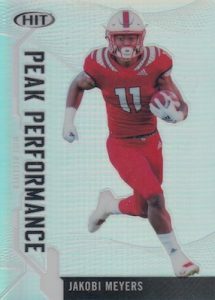 he release is more expensive than some other releases, but the increased number of hits makes up for it.